Under-deck drainage systems drain the water away from your patio into a gutter system. This technology helps to keep the lower area clean and dry. The way under-deck drainage systems are designed allows them to fit virtually every area, making them very versatile. Heartlands’ under-deck drainage systems add value to your patio and give the underside of your deck a nice, finished appearance. 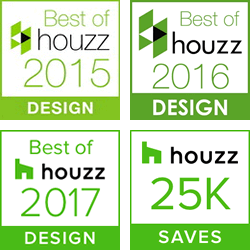 Heartlands makes our under-deck system using InsideOut, an all-aluminum construction with a baked-on or powder coated finish. In addition, we distribute DuxxBak decking boards which integrate the drain channel within the actual deck board. 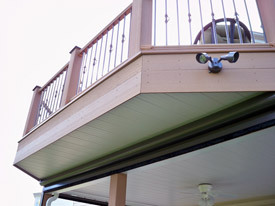 These systems give you the benefit of a low maintenance, rust proof, and affordable product. 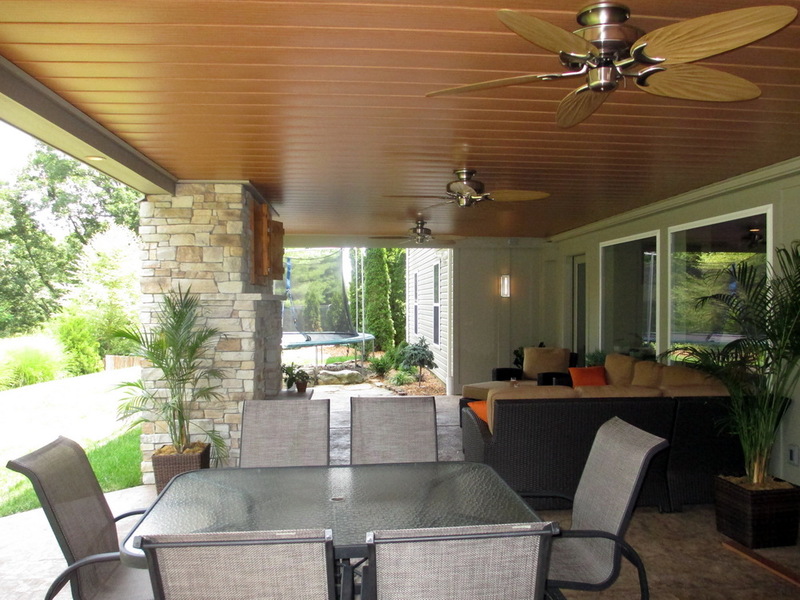 Heartlands’ under-deck systems come in a variety of colors and wood grain finishes. 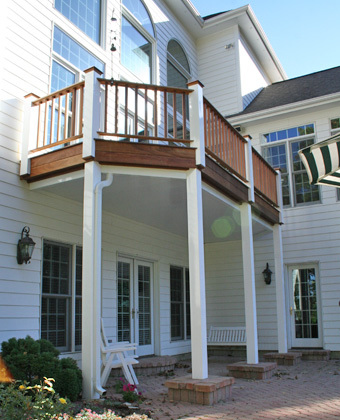 Installing an under-deck system from Heartlands adds usable space under your elevated deck. You already have this space―take advantage of it! 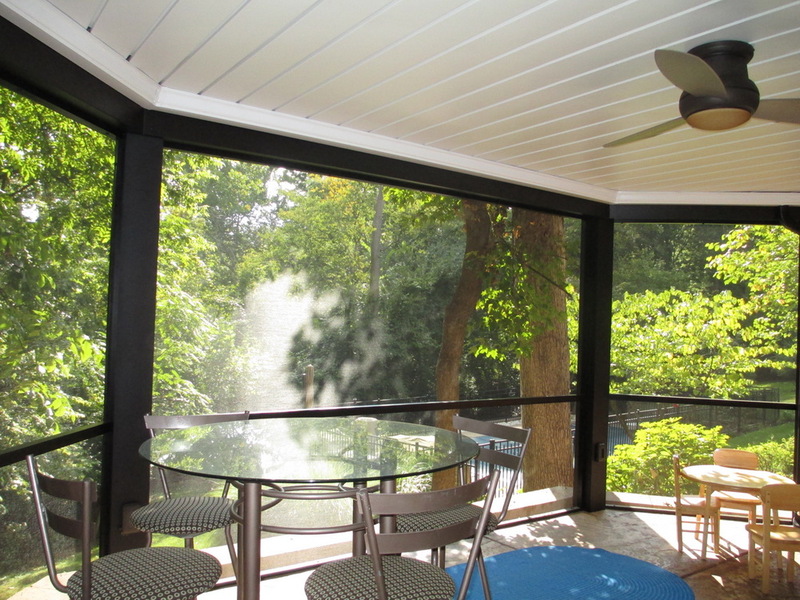 You can use the space under your deck for a screen enclosure, storage area, or just a place to sit and visit with friends and family. The under-deck system from Heartlands is great as a do-it-yourself project because it requires no special tools to install. However, you can have the trained members of The Screen Team® here at Heartlands install your under-deck system for you. We can also help you install any of the other products we sell.